Recently face-lifted, the 2016 Audi A6 is rather like a well-tailored suit, perfectly crafted to impress even the harshest critique. Sporting a masculine, statement-making front grille, the A6 is sporty sophistication incarnate. 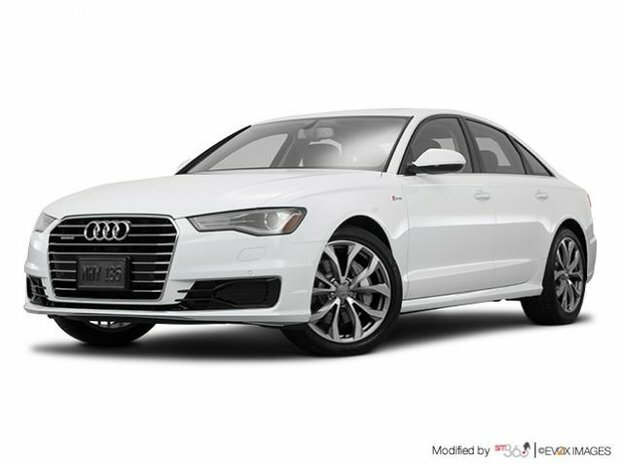 Some cars simply ooze class and sophistication; and the 2016 Audi A6 is most definitely one of those vehicles. From its exterior design to the smoothness with which it cruises the streets, the A6 is elegance from nose to tail. Recently face-lifted, the 2016 Audi A6 is rather like a well-tailored suit, perfectly crafted to impress even the harshest critique. Sporting a masculine, statement-making front grille, the A6 is sporty sophistication incarnate. The signature Singleframe grille commands respect from fellow motorists on the road, and those strong meaningful lines continue along the body of the 2016 A6. Inside, that same elegant masculinity continues. Spacious and designed with the highest quality materials, the A6 features lumbar-supported front seats and an ergonomically designed cockpit to ensure all controls are easily accessibly by the driver. Navigating the 2016 Audi A6’s MMI system is child’s play thanks to an intuitive touchpad that features handwriting recognition. Simply “write” in your destination for navigation and the A6 will recognize the characters and program in the destination. There’s also voice recognition and Bluetooth connectivity, along with satellite radio. All creature comforts are catered to in the Audi A6. However, there’s more to it than just a stunning exterior and comfortable interior. Driving the A6 is just as enjoyable and desirable. With two available engines, the A6 features an upgrade transmission and a tad more power thanks to tweaked engine specs. In the 2016 Audi A6 Progressiv model you’ll find a 2.0L TFSI mill that produces 252 horsepower and 272 lb-ft of torque. With a top speed of 209km/h, the A6 Progressiv will hit 100km/h from a standstill in just 6.9 seconds. For a large sedan, that’s more than impressive. However, opt for the 2016 Audi A6 Technik and everything’s taken up a notch. Equipped with a 3.0L TFSI, the A6 Technik punches out 333 ponies and 326 lb-ft of torque. While top speed remains the same, that 0-100 sprint time is reduced to 5.3 seconds. Of course, both models are outfitted with Audi’s stellar Quattro all-wheel drive system, as well as Tiptronic automatic transmissions to harness in all that power and offer a smooth, controlled ride unlike anything else on the road today. To find out more about the recently face-lifted and oh-so elegant 2016 Audi A6 sedan, head down to your local Glenmore Audi dealer today to speak to one of our experts. And don’t forget to book a test drive, too.